Rick Randlett has been a staple of the North Central Florida music scene since the 1980s, and many weekends each month you can find him playing out around the Gainesville area. He has a distinctively growly voice, and smooth acoustic, slide and electric guitar skills that express the inspiration of his diverse influences which include the Yardbirds, Robert Johnson and Hank Williams. Over his career he has recorded three albums, the latest of which breaks down blues and country music down to their more basic levels. Change Coming On is a bare bones release that is promoted as an acoustic album, and it is mostly unplugged with just a few electric guitar parts thrown in to mix things up. Rick performed the vocals and all of the guitars parts, which are all that can be heard on the CD, as there are no drums, bass or keyboards. He also wrote all of the tracks, recorded it at his own studio, and coproduced it with Donny Weatherford of Gainesville’s 1st Street Music & Sound Company. So, if you find anything wrong with it, the buck stops on Randlett’s desk. But there is not much of anything to complain about, and you will get a good idea of what the album will be like from the title track, which comes up first. 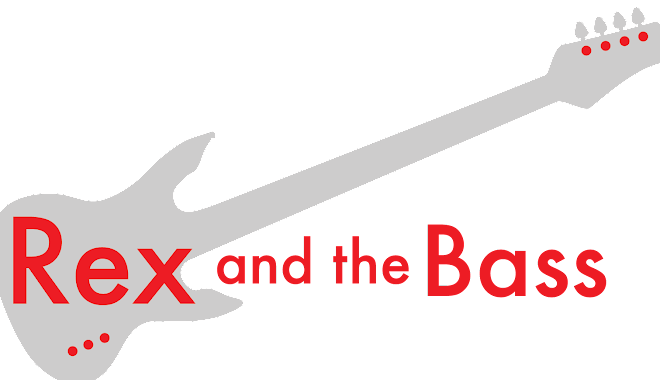 From the start it is apparent that Rick is not aiming to show that he is a great singer or a fabulous guitar player (but he is very good), but rather wants to tell stories and entertain through his songwriting. “Change Coming On” is a short blues song (only around three minutes), so it only starts to tell the story of a life gone wrong that still has a glimmer of hope on the horizon. Through the magic of studio tracks, Randlett’s acoustic guitar holds down the beat while his slide guitar sets the atmosphere in the background. The mood lifts and the tempo picks up on “Goodbye to You” as he dreams about living the good life that can be found anywhere but where he is right now. There is some nifty acoustic guitar picking and at least three or four layers of guitars on this one. With a healthy dose of pedal steel, the theme goes more country with “Promise of Freedom” as he examines the feelings of moving on no matter how much life brings you down. 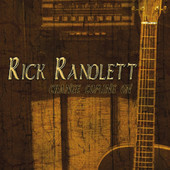 From here, Rick continues to explore the blues and country genres, including some nice 12 bar blues on “All Mixed Up.” He keeps things from growing stale by adding in new elements here and there, including nice vocal harmonies on “Fool for You” and jaunty finger popping on “Big Spender,” which also has some gloriously fat acoustic tones on it. Changes of pace help to keep the album from falling into a rut, as the tempo varies considerably from track to track. “Seeing Nothing” is the final track on the CD, and it is also the one that breaks the mold that he cast for the rest of the songs. The lyrics of this acoustic rock ballad are gloomy and Bob Seger-esque, and the picked acoustic guitar has a harpsichord feeling and sound. Over these components there is tasty and ethereal electric guitar work that fits in perfectly. I think this was a good choice to end the album, and to remind his listeners that he is not a one-trick pony. Overall, Change Coming On is a collection of thirteen relatively short tracks that do a good job of conveying the feel and message of classic blues and country music. None of them are flashy or complicated compositions but they work well when considered as a single entity, and it is apparent that Rick Randlett’s hard work has paid off. There was a ten year gap between’s second and third albums, and I hope he does not take as long to come out with his fourth!